We’re located just near of the Meyerland area. We service all around Houston, but not limited to Sugar Land, Missouri City, Cypress, Pearland, Pasadena, Stafford, Humble and many more. We take our work very seriously and make sure that our clients receive the best Customer Service. Making sure not only to install the best systems, but to also stay on top of what your home or business needs. One of our main expertise are Security systems, whether it be for your home or business you can be sure you’ll be protected. 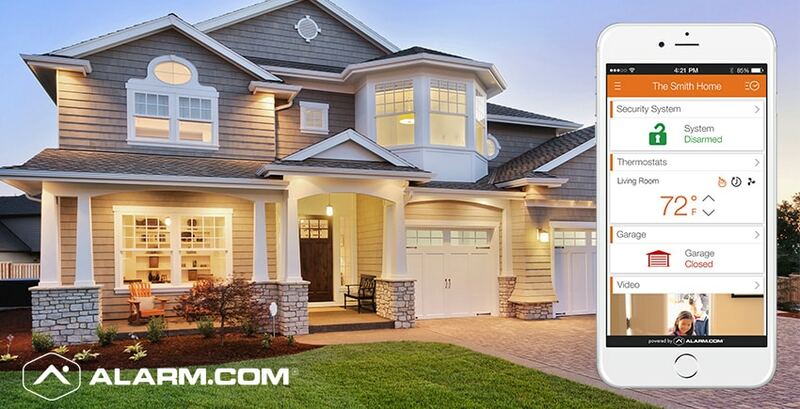 You’ll always have access to your home or business’s security system. Including if your around the globe you’ll be able to access and enable or disable your alarm. As long as you have internet. This is how you’ll have full control over what is going on while your away. Security systems in houston get installed in homes and businesses by us on a daily. 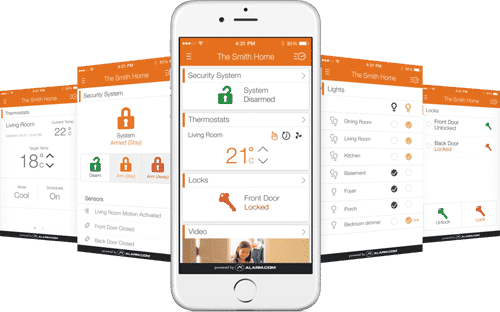 All of it can be easily accessed on your mobile device or laptop computer, on alarm.com or the app “alarm.com“,The apps are available for a variety of devices out there, for your Smartphone, smartwatch, amazon alexa, google home, to your apple tv and your amazon fire. Arm or disarm your alarm, create different passwords for different people, make sure your children arrive home safely, and even see what you pets are doing. Even your Thermostat, locks, lights, and garage doors.The alarm systems are installed quickly in your home and/or business. We walk you through how to use the interface on your systems. Our Tech’s help you get setup on your mobile device and your computer. All this to make sure then when we leave you feel safe and sure that if anyone tries to break in your are alerted instantly and the proper authorities are dispatched immediately.Remove the risk of you losing your valuables or your family being put in a life threatening situation. Always have peace of mind of knowing that everything you’ve invested and worked so hard for, isn’t taken from you.